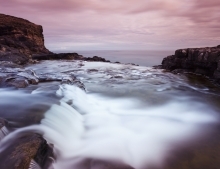 Board a direct flight to the remote Faroe Islands and enjoy a relaxing self-drive weekend. Whether you’d like to enjoy some hiking in the mountains in Spring or Summer, or search for the Northern Lights in Autumn or Winter, the Faroe Islands can promise fresh air in abundance and untouched landscapes that will take your breath away. This week-long fly drive holiday in the Faroe Islands is designed to uncover the highlights and hidden places of this wild Atlantic archipelago. 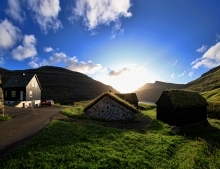 Uncover a unique island lifestyle on the Faroes Islands during a self-drive short break. This holiday includes many of the highlights of the Faroe Islands, from its bird cliffs to picturesque villages and the cultural capital in Torshavn.